Why Wait? The Market is GREAT! “I don’t want to list my house during the holidays. We’re going to wait until Spring!” That’s one of the most common themes we hear at The Peters Company this time of year. 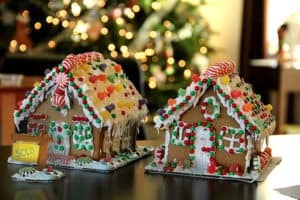 And, I would be remiss if I didn’t share some of the best reasons to list your home during the holidays. Buyers looking at homes during the holidays are serious! Fewer homes are on the market during the holidays – so your competition is less! Homes show well when they are tastefully decorated for the holidays. Buyers have more time to look at homes during the holidays when they have time off for work. Many buyers want to purchase before the end of the year for financial and tax reasons. Relocation buyers abound during the holidays as many companies relocate employees in January for the new year. Sellers can restrict showings for the actual holiday or parties they have planned. If you sell now, you can buy in the Spring market when more homes are on the market! And, in case I haven’t convinced you… our current Metro Atlanta statistics give you even more reason to list NOW before inventory increases in the spring. There are 10% fewer homes on the market NOW than the same time last year. It’s taking less time to sell a home this year than the same time last year. The median sales price is 4.5% higher than the same time last year. If you’d like to list your “Ho Ho Ho” Home during the Holidays, give The Peters Company a ring today at 678-921-1470.